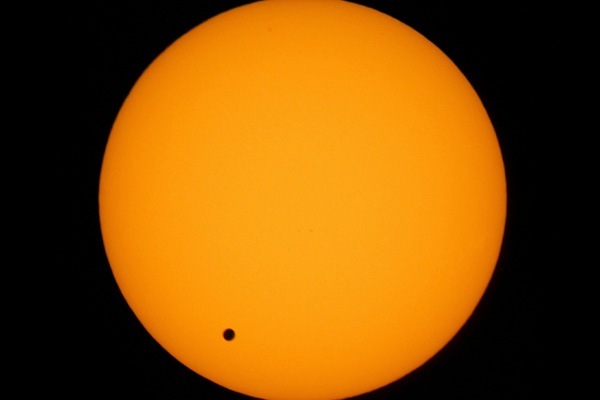 This June 8, 2004 file photo shows the transit of Venus, which occurs when the planet Venus passes between the Earth and the Sun, is pictured in Hong Kong. Venus will cross the face of the sun on Tuesday June 5, 2012, a sight that will be visible from parts of Earth. This is the last transit for more than 100 years. LOS ANGELES (AP) — It’s a spectacle that won’t repeat for another century – the sight of Venus slowly inching across the face of the sun. It’s so unique that museums and schools around the globe are hosting Venus viewing festivities – all for a chance to see our star sport a fleeting beauty mark. Even astronauts aboard the International Space Station plan to observe the event.